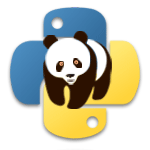 pandas is a Python package providing fast, flexible, and expressive data structures designed to make working with 'relationa' or 'labeled' data both easy and intuitive. It aims to be the fundamental high-level building block for doing practical, real world data analysis in Python. Any other form of observational / statistical data sets.